Home > Blog > How to Beat the Airport Parking Monster? How to Beat the Airport Parking Monster? Whenever you are in a hurry or are late to get to some place such as an airport where you dread missing your flight, everything that could go wrong, usually does go wrong. It’s irritating and infuriating as well as a potential deal breaker for your fun filled vacation plans. Being distracted due to the hefty parking issues. Worrying what to do if you cannot find a proper parking place. Wonder during your trip if your car is safe where you parked it or not. Above all how do you expect to enjoy your vacation with this much fuss going on in your mind? Let me enlighten you. Take care of the fuss already. It’s as simple as that. Make advance parking reservation so that you already know what to do once you get to the airport or where to park. This way you also get to have the peace of mind that your car is not deserted but it in safe hands, well guarded 24/7. You can get all of this comfort and peace of mind via attaining the vigilant care of Meet and Greet Parking at UK Airports. What does Meet and Greet Car parking service offers? Driving to the airport with the clarity of mind about what to do which is nothing exactly. Simply drive to the terminal. No having to circle around the parking lot hunting for a free space. 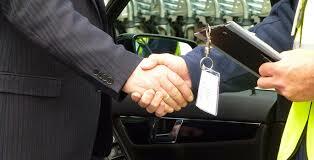 You dedicated Meet and Greet agent will take your car to park safely directly from the terminal. No wastage of time and effort as everything will be pre-arranged accordingly. The certainty of acknowledging that your vehicle is securely confined at all the time. Upon your return your vehicle will be delivered to you at the terminal without any delay or waiting. The service is available at comparatively low pricing. There also are a variety of deals and discounts for you to save a little of your travel budget. It would be great traveling with such a luxury, would it not? By making advance online booking to park your car you can focus entirely on your vacation or business trip. Well planned luxury travelling is the dream of every passenger and Mobit Airport Parking is here to fulfill it. Previous PostHeathrow Expansion – The Enthusiasm of Residents.Next PostBirmingham Supports Expansion of Gatwick.